As I cannot keep too many dogs at home providing all of them enough activities, I have decided to co-own some girls with some friends. Technically, I own the girls but in real life, they live with their family who is responsible for their daily care and training. Only time will show us if these girls grow up in the way they would be suitable for breeding. Even though as a breeder I am interested in all babies bred by me, I do even closer co-operation with the co-owners. For me it is crucial to be able to evaluate their character and working abilities. Therefore I am more than happy to take care of them when needed. 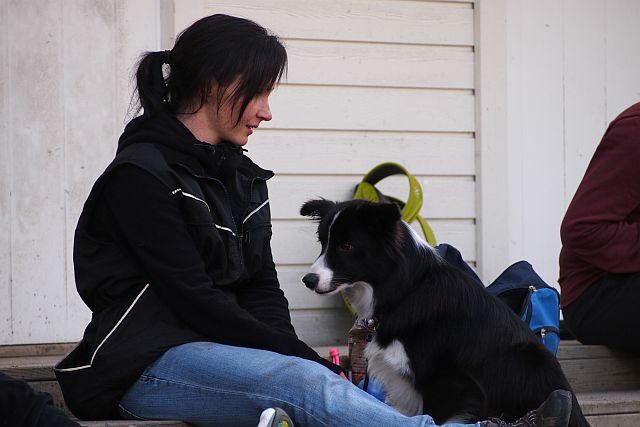 In the photo there are Hannele and Rilla from our kennel training day. The photo has been taken by Jonna Manninen.